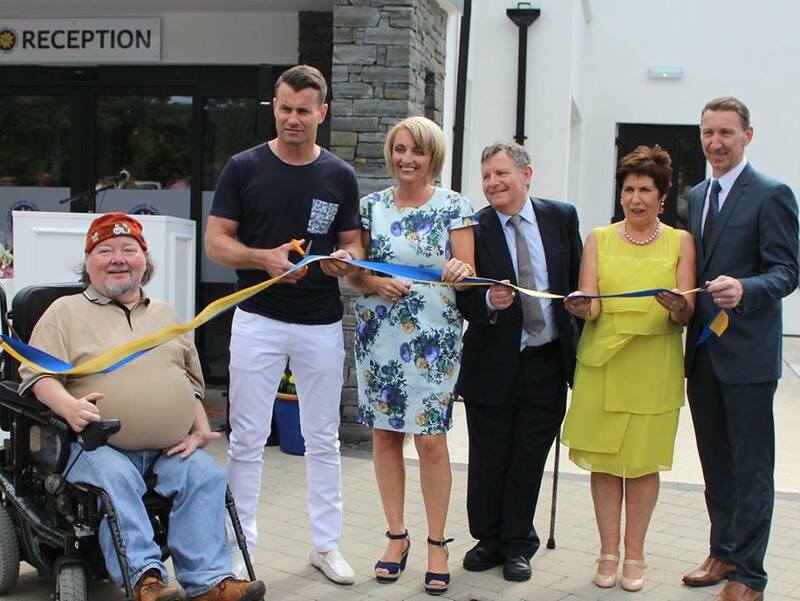 Director of Áiseanna Tacaíochta (ÁT), Martin Naughton, joined soccer legend, Shay Given, as a special guest at the opening of Ballymacool House, the new premises of Donegal Centre for Independent Living (DCIL), on Saturday, 4th July. 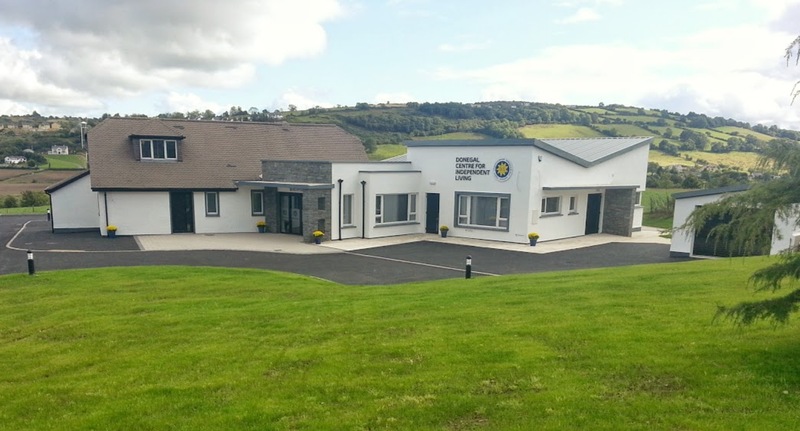 The day represented a celebration of how far DCIL has come through the years and its achievements, as well as marking the official opening of its new building in Letterkenny, County Donegal. 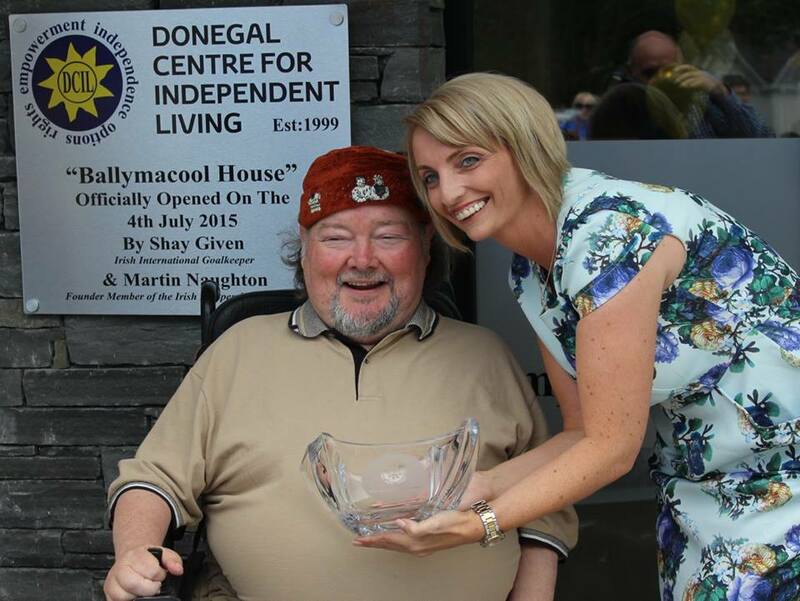 Martin was invited to open the building in recognition of his work and dedication as one of Ireland’s most prominent disability activists and the founder of the first Centre for Independent Living (CIL) in the country. 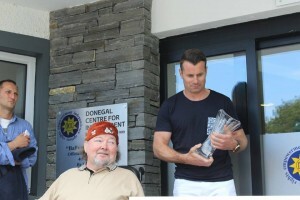 He shared the official opening duties with Donegal native Shay Given, goalkeeper with Ireland’s international soccer team and Premier League club Aston Villa. DCIL’s Rosaleen Bradley organised the day, which was packed with entertainment, music, food and family fun. DCIL works to empower people with disabilities to achieve Independent Living, choice and control in their own lives and to participate fully and actively as equal citizens in society. 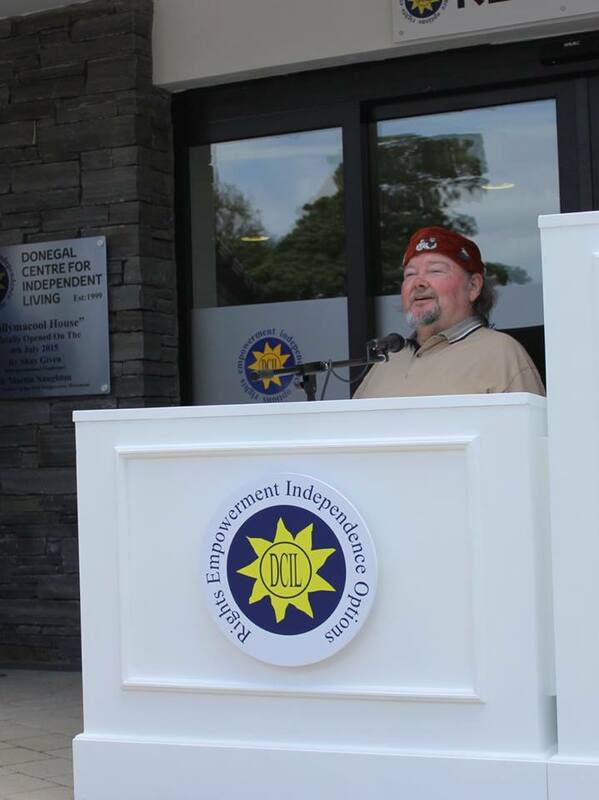 We here at ÁT would like to thank everyone in DCIL for the invitation to join them on this great day, and we wish them the very best of luck in their new home! To get in touch with DCIL, visit Ballymacool House, Ballymacool, Letterkenny, County Donegal; ring 074 912 8945; or email dcil@eircom.net. 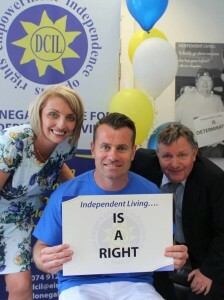 Please click here to visit the DCIL website.